Next Wednesday, July 23rd, a sale takes place in Cong, County Mayo of items from Ashford Castle. Most of the lots appear to be surplus to the requirements of the place’s new owners but a few are survivors of the period when Ashford was owned by the Guinness family. Originally a 13th century de Burgo castle, in the 1670s Ashford passed into the ownership of the Browne family, remaining such until sold through the Encumbered Estates Court to Sir Benjamin Lee Guinness in 1852. He then left it to his eldest son Arthur Edward Guinness, created Lord Ardilaun in 1880. Between them père et fils greatly enlarged and improved both the old house and surrounding estate. It was never a full-time residence but primarily used during the shooting season: in January 1905 the Prince of Wales (later George V) spent a week there. Lord Ardilaun having no children, on his death in 1915 the estate reverted to the family trust which passed it on to the Hon. Ernest Guinness. He frequently joked that far too many people were employed at Ashford, ‘Every one of whom might fall over if you removed his (sweeping) brush.’ However, relations with staff gradually deteriorated to the point that the summer of 1938 they went on strike, looking for a wage increase of two shillings a week. Ernest Guinness was so exasperated by their behaviour that he left Ashford in his private plane and never returned. The following autumn the trust placed Ashford on the market and in spring 1939, shortly before the estate went to public auction, 22,000 acres were bought by the Irish State for £20,000. The castle and immediate 170 acres were leased by hotelier Noel Huggard; ever since Ashford Castle has operated as an hotel under a succession of managements, the latest taking over last year. 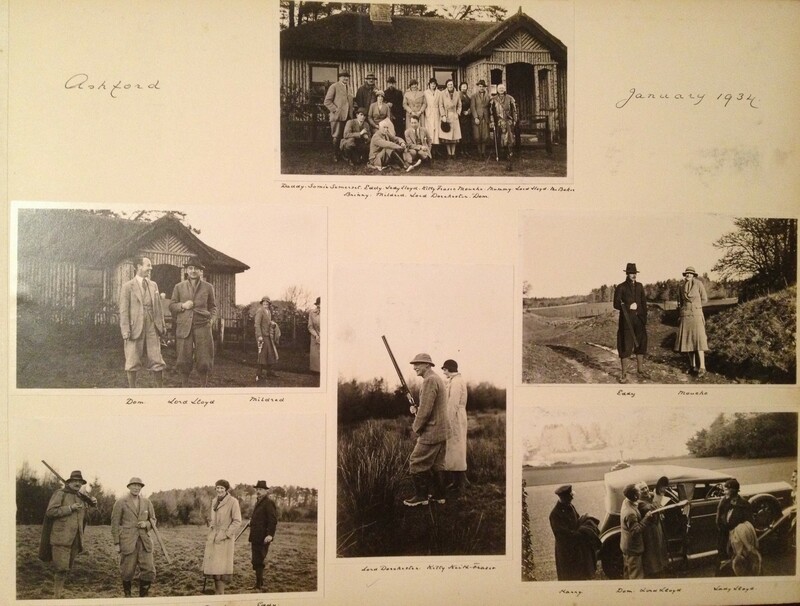 Above is a page taken from a Guinness family photograph album showing a shoot on the estate eighty years ago. This entry was posted in Country House, Mayo and tagged Ashford Castle, County Mayo, Irish Castle, Irish Country House, Stately Home, The Big House.